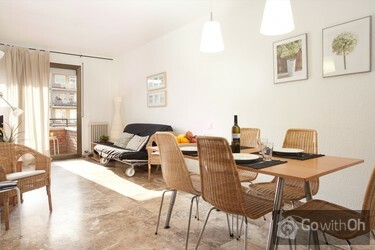 Located in the lively district of Poble Sec, well-known for its great atmosphere, theatres and venues, this pleasant apartment offers a wide range of opportunities. It is located on the fifth floor of a building with a lift, in the Avenue Paralelo, running up to the Plaza España from the beautiful port of Barcelona. 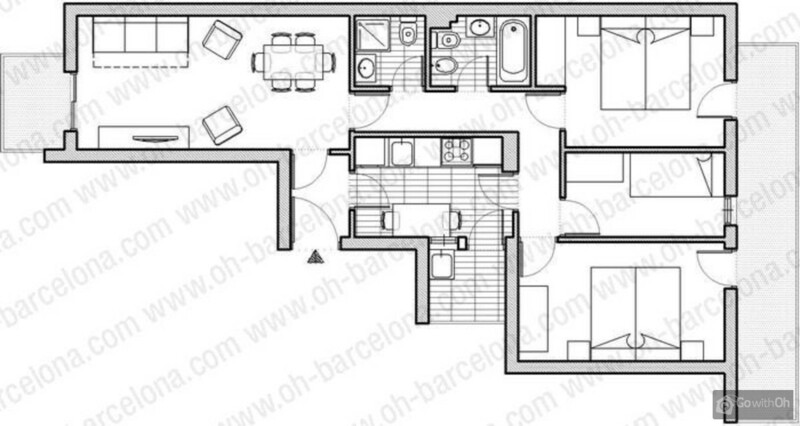 The 85m2 apartment can accommodate up to six people. The lounge-dining room has direct access onto the lounge and is sunny with a very cozy ambience. 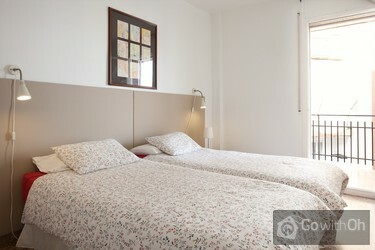 The room also has a single sofa bed, offering a great spot to unwind and watch TV, a film on DVD, or surf the internet with the WIFI internet connection. For greater comfort there is air conditioning and central heating for the perfect temperature all year round. 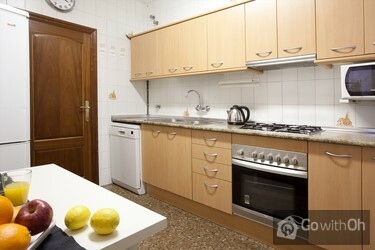 The independent kitchen is well-equipped for guests to prepare their favourite home-cooked meals. 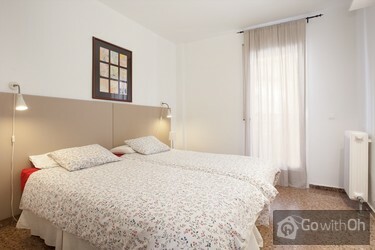 There are three bedrooms  one main room with a double bed, a second with two singles and a third with a single bed. 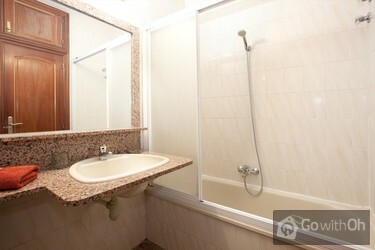 There are two bathrooms for utmost comfort- a larger room with bath, and second slightly smaller fitted with a practical shower cabin. 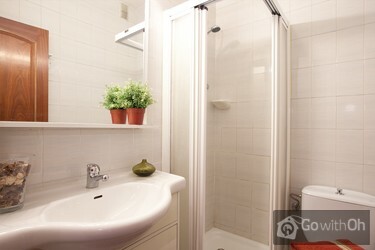 The area surrounding the apartment is home to numerous services and entertainment. Guests will enjoy visiting a show or concert at the famous Theatre Apolo or tasting some tapas in one of the many restaurants. 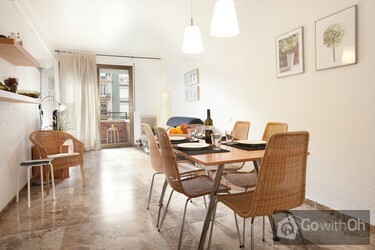 It is just 250 metres to the nearest metro station at Poble sec (L3) which provides direct access to the Plaza España, and in the opposite direction just three stops to Drasssanes, from where visitors can see the port, the Ramblas and the Gothic District.